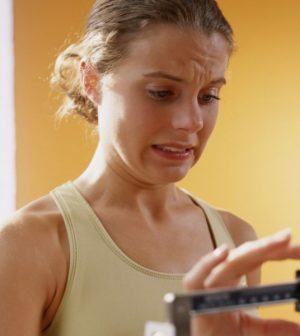 Slow and sneaky weight gain usually happens over time — on average one pound a year — so it’s not always obvious at first, especially if you don’t regularly weigh yourself. Several factors could be to blame. Maybe you’re exercising less because family and work obligations have gotten in the way of regular gym visits. Maybe you’re eating more, such as having a cookie with your daily afternoon cup of tea. Perhaps you simply don’t need as many calories as you used to because of the gradual shift in body composition that can happen with age. Having less muscle and more fat can slow your metabolism, making it easier to gain weight.